The Model T2E Electric Embosser makes a raised impression by dry stamping all kinds of documents. For precise positioning of the print, the machine is equipped with a stop with adjustable brackets. Depending on paper weight, you can stamp up to 10 sheets at once. 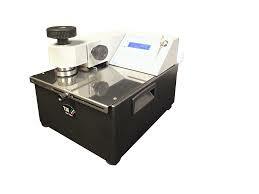 The Model T2E Electric Embosser is also equipped with a manual pressure control device. The impression is created by triggering a microswitch, or pressing a button which activates the stamping after insertion of the paper.